Dennis Pratte, owner of My Gun Factory in Falls Church, Va., said the demand for semiautomatic rifles is outstripping supply. The feverish demand for military-style rifles and high-capacity ammunition magazines is outstripping supply, ahead of legislative efforts to ban them in the wake of mass shootings. "Our phones are ringing every 10 seconds and people are saying, 'Do you have any assault rifles?'" said Dennis Pratte, owner of My Gun Factory in Falls Church, Va., a store that also sells products online. "They've sold out of just about every gun shop nationwide and just about every distributor is out of stock." Online retailers are running out of semiautomatic rifles -- known variously as assault weapons, tactical rifles or modern sporting rifles -- and magazines that can hold more than 10 rounds. 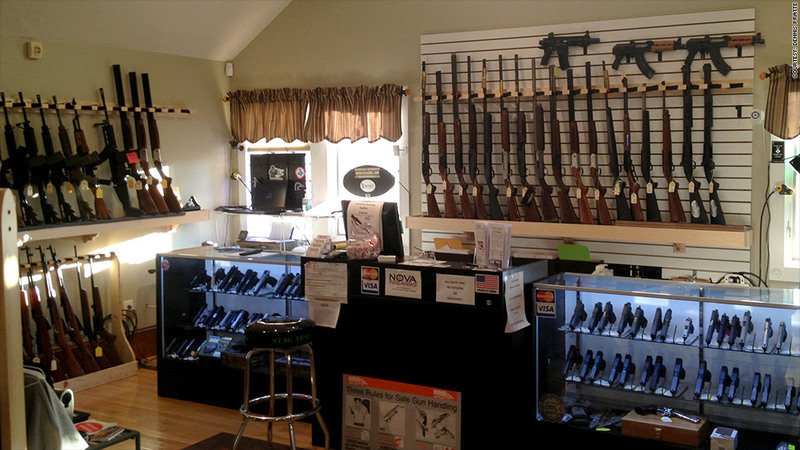 Brick-and-mortar gun shops are also working furiously to meet demand. Semiautomatic rifles, which fire one round for every pull of the trigger, and high-capacity magazines are flying off the shelves. "The retail market is completely sold out of anything with high-capacity magazines," said Pratte. "We get people 20-deep waiting to buy." Pratte said that he sells AR-15s as soon as they arrive at his store, before he even has the time to display them on the wall. Handguns are also hot commodities, especially from popular makers such as Smith & Wesson (SWHC), he said. He said that prices are soaring, and not just for guns. High-capacity magazines, particularly the popular 30-round magazines, are going for $100 apiece on Gunbroker.com, a bidding site like Ebay (EBAY). He said they used to sell for $15. "Ammunition is hard to come by, as well," Pratte said, noting that ammunition for military-style semiautomatic rifles has tripled in price to about one dollar per bullet. Online retailers have depleted their stock of magazines containing 30, 60 or even 100 rounds. "Due to tremendous demand, high-capacity magazine orders will be delayed," reads a notice at Surefire.com, which has sold out of $179 banana-shaped magazines capable of holding 100 rounds. Likewise, the ungainly-looking 100-round dual-drums, which resemble a pair of cans stuck together, have sold out at Cheaperthandirt.com and Impactguns.com. Even the manufacturers are running dry. Beta Mag makes 100-round dual-drums for rifles and even handguns, including a drum for Glock, which was featured in the latest James Bond movie, "Skyfall." But it has gotten difficult to order them through the company's Web site, where the high-capacity drums are listed as "available for purchase" but "back ordered." The product's popularity is matched only by its controversy. A 100-round drum was allegedly used as part of the four-gun arsenal of James Holmes, accused of shooting 70 people and killing 12 at a movie theater in Aurora, Colo., on July 20. High-capacity magazines have been used in numerous mass shootings, including the Dec. 14 attack at a school in Newtown, Conn. Police said that Adam Lanza loaded his Bushmaster rifle with multiple 30-round magazines to shoot and kill 20 school children and six educators before committing suicide. Later this week, Sen. Dianne Feinstein, a Democrat from California, plans to reintroduce the assault weapon ban that expired in 2004. The ban, if it passes, would outlaw the sale and manufacture of certain semiautomatic rifles, handguns and shotguns, and well as magazines that can hold more than 10 rounds. President Obama has made it clear that he will support an assault weapon ban, and sales have soared since his re-election. But such a bill will have a tough time getting past Congress. 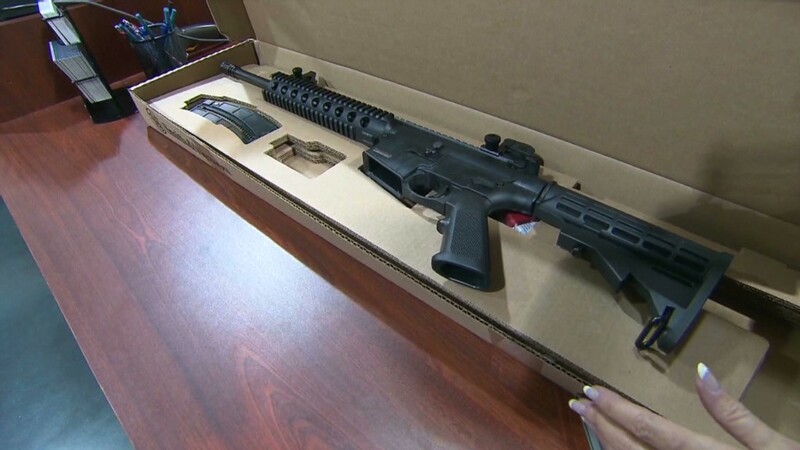 For now, retailers can't keep tactical rifles in stock. The staff at Georgia Gun Store in Gainesville, Ga., is too busy even to take customer calls. "Due to high sales volume we will not be answering the phone nor will we be returning phone calls," said the Georgia Gun Store's answering machine.